The International Monetary Fund (IMF) lowered its forecast for Malawi’s economic growth to four percent in 2019 and five percent in 2020, in the aftermath of Tropical Cyclone Idai. In its World Economic Outlook report released on Tuesday, the global lender says the local economy would swell by 3.2 percent in 2018. The four percent GDP growth rate forecast for 2019 is 1 percentage point shy of the five percent predicted by an IMF Mission that visited Malawi before Idai ravaged parts of the country early last month. Tropical Cyclone Idai was one of the worst tropical cyclones on record to affect Africa and the Southern Hemisphere. The long-lived storm caused catastrophic damage in Malawi, Mozambique and Zimbabwe, leaving about 60 people dead in Malawi. The Bretton Woods institution has also predicted that inflation would average 8.7 percent this year down from 9.2 percent in 2018 before decelerating to 8.2 percent in 2020. The Reserve Bank of Malawi (RBM) is eyeing an inflation rate of 5 percent by 2021 which would help bring the policy rate to 11 percent. Finance Minister, Goodall Gondwe, could not be reached for comment on the GDP growth forecast cut. Earlier last month, Gondwe had indicated that the economy could grow by over seven percent this year. The IMF on Tuesday also cut its global economic growth forecasts for 2019 and said growth could slow further due to trade tensions and a potentially disorderly British exit from the European Union. The IMF said some major economies, including China and Germany, might need to take short-term actions to prop up growth and that a severe downturn could require coordinated stimulus measures. It further said it still expects that a sharp slowdown in Europe and some emerging market economies will give way to a general re-acceleration in the second half of 2019. 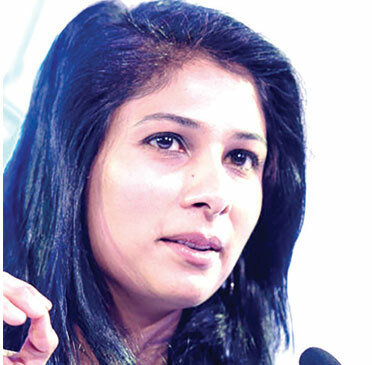 IMF Chief Economist, Gita Gopinath, said a sharp downturn might require synchronised fiscal stimulus “across economies” as well as loose monetary policy. “This is a delicate moment for the global economy,” Gopinath said in a news conference in Washington during the IMF/World Bank Spring Meetings. In its third downgrade since October, the IMF said the global economy will likely grow by 3.3 percent this year, the slowest expansion since 2016. The forecast cut 0.2 percentage point from the IMF’s outlook in January.